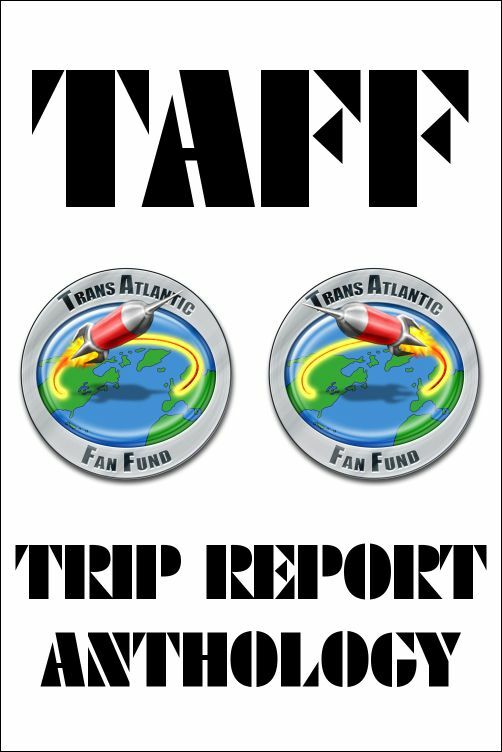 This ebook brings together all the known segments of abandoned TransAtlantic Fan Fund trip reports, plus other related trip-report material as described below. Published as an Ansible Editions ebook for the TAFF site in July 2017, with a cover design incorporating the TAFF eastbound and westbound logos designed by Anne Stokes in 2006. 130,000 words. A long-standing tradition of TAFF is that returned winners administer the fund until replaced by their successor from the same side of the Atlantic and if possible write a substantial trip report, both for sale in aid of the fund and for the entertainment and edification of fandom. This tradition goes back to before TAFF itself began. A special fund was organized to bring Walt Willis from Ireland to the USA and the World SF Convention in 1952 (an initiative which led directly to the founding of TAFF), and his report The Harp Stateside is regarded as a classic of fan writing. Many TAFF winners since then have likewise published full-length trip reports. Two were unable to make the journey and had nothing to report on. Some were waylaid by the horrors of real life and failed even to begin a report; some published instalments in fanzines but didn’t finish. This ebook collects the reports that at the time of publication remain incomplete, or consist of notes for an intended full report, or are so brief that they couldn’t plausibly be published as a standalone fanzine in the tradition of The Harp Stateside. Nevertheless there’s a lot of fine fan writing here. Recent TAFF winners deserve a breathing space to start or finish working on their trip reports – if perhaps not the 43 years it took for Ken Bulmer’s 1955 report instalments to be gathered together at last as a single publication, or the 39 years before Steve Stiles finally completed his 1968 report. Therefore in the original plan for this anthology, winners who’d barely had time to begin, or had published partial reports and were still actively adding to them, were given a free pass. However, Ulrika O’Brien (1988), Randy Byers (2003), Anne and Brian Gray (2010), John Coxon (2011), Jim Mowatt (2013) and Curt Phillips (2014) all liked the idea of a single teaser chapter appearing here, and are duly represented.